Are you ready for some major Pinterest education? Pinterest drives a ton of traffic so being a successful user can also make you be a successful blogger. Kathy is here to share how she grew her Pinterest following and how to use Pinterest to grow your blog. Hi there! So glad to be a part of Just us Four’s “How to Blog” series. Thanks for having me. 😉 Everything I have learned about blogging is from other bloggers, searching the web, and personal experience. I am grateful for the chance to return the favor. 95% of my traffic comes from Pinterest. Wow. Once I figured that out, I did some quick research, implemented changes, and went from 40 followers (back in January) to 1,000+ followers in just a few weeks. 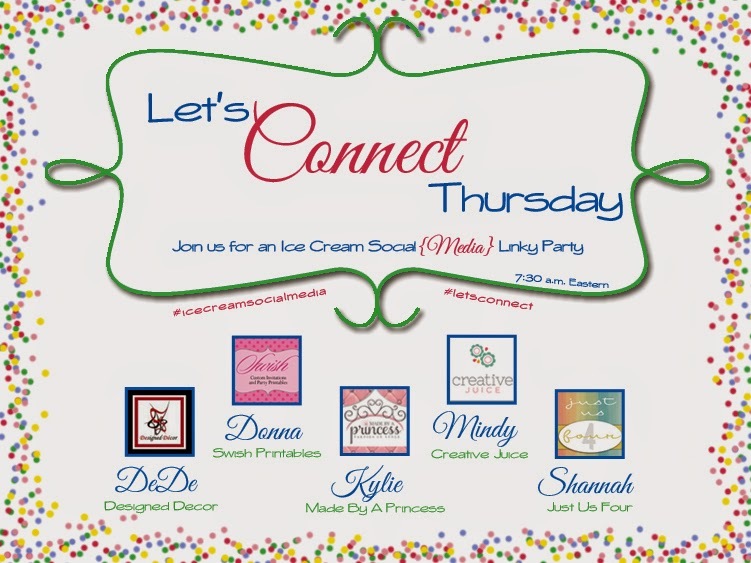 It is Party Time – Pinworthy Project Link Party! Happy Friday! It is Party Time! Today is an exciting day. Not only is it the end of the work week BUT it is also the day that our new co-host joins the Pinworthy Projects Party team! Please welcome Allyson from Domestic Superhero! I’ve been a reader of Allyson’s blog for a long time so I was excited when we started talking about her joining us a co-host! If you haven’t visited her blog before, be sure to do it! Also, be sure to connect with her on Facebook, Twitter and Pinterest! She’ll be sharing features each week too. 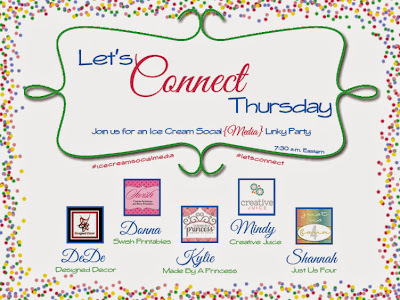 Welcome to Let’s Connect Thursday! This week we are linking up to Pinterest! If you are new this week, WELCOME! If not, then welcome back. We are so excited to see you connect with us each week. Five different hosts means there are 5 sets of readers linking up. Greater exposure for your twitter page and a lot more link ups for your discover! To add to the fun we have a featured co-host. Bevin, Heather, Lori, Rebecca & Sherry from Who Needs A Cape! check out their site for fun recipes and more! Each week, we’ll have a new social media platform as the main theme of our link party. This week, we’re linking up our Pinterest Pages! I’m sure you already know that Pinterest is fast becoming a primary way many readers connect with blogs and we all need a little Pinterest love! Growing your Pinterest following = growing your blog following! Your link will automatically appear on all 5 blogs! Remember: Follow your Hosts and visit the others! Use our new hashtag #letsconnectthursday when tagging or posting so we can find each other! You will automatically be entered into our email reminder list by entering a link. You can remove yourself from the list at any time. This week we are linking up with Pinterest! Six different hosts means there are 6 sets of readers linking up. Greater exposure and a lot more link ups! I’m sure you already know that Pinterest is an amazing way many readers find and connect with blogs and we all love to spend our free time pinning! So, growing your Pinterest following = growing your blog following! Your link will automatically appear on all 6 blogs!